And A Happy, Successful And Healthy New Year 2016! Happy Holidays With Family And Friends. And His Perfect Peace, Faithfulness And Hope Prevail Forever. and generous comments through the years are very much appreciated! 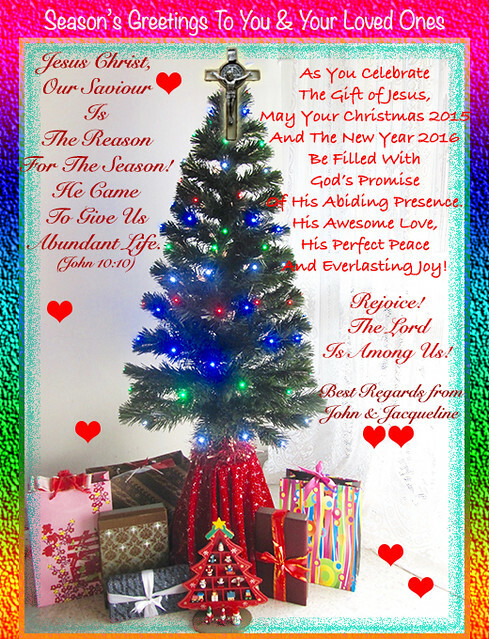 Thank you very much for your good wishes, from Venezuela received a warm hug and wishing you a Merry Christmas 2015 and Happy New Year 2016. Our pleasure, dear Yara. Much thanks too for your lovely thoughts and wishes. God bless and a big hug from us.